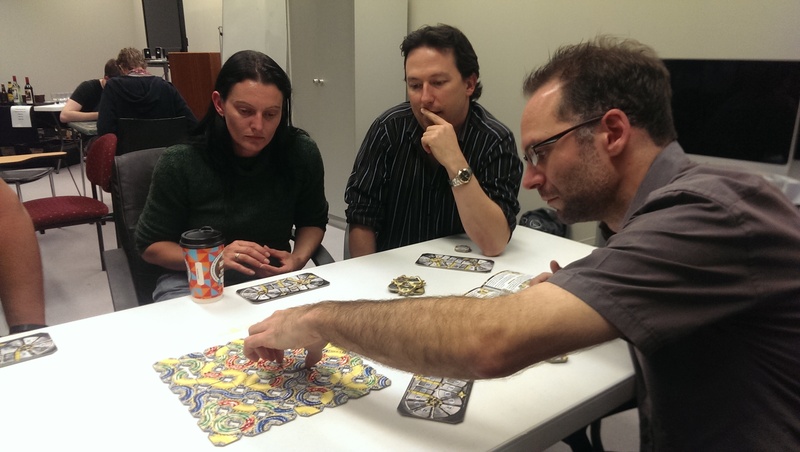 In a deviously clever, steampunk-themed strategy game, all players must plot and play how to gain the most points from the game board. Players are aiming to build cog chains using the Game Tiles. Cog chains of the same colour earn points with completed Cogz earning bonuses and slowing the other players. High points can gain bonus actions but players must be cognisant that final scores are based on their cog colour with the least points. Recognising where ideal points can be gained, completing Cogz at the opportune time, limiting opponents and cognitively planning for future turns will challenge the most experienced players. 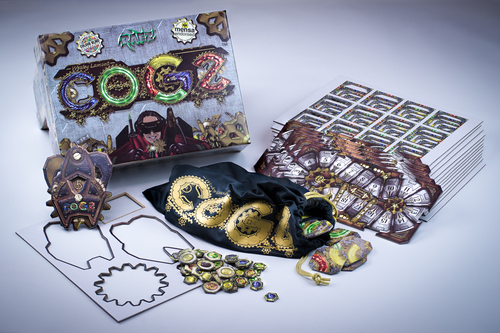 COGZ helps you hone your pattern matching, logic, visual IQ and memory skills to enhance your own cognition in this fun strategy game.